Alexandra Park Dental Practice and Referral Centre is an example of excellence and distinction for dentistry in the area of Wood Green, Bounds Green, Muswell Hill. 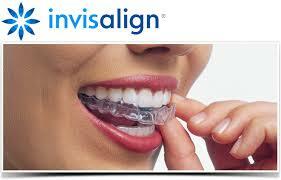 Our team comprises of award-winning dentists, who are known for their brilliance in the field of dentistry. At our clinic, a wide array of treatments is provided to our much worthy patients. However, each of these treatments is performed with a mutual aim at the back of our mind: offering our patients with striking, confident smiles for a lifetime. For ensure our patients’ satisfaction with the services delivered (at our practice), modern secure and less painful techniques are developed and adopted by us. They help in better preservation of the original tooth structure and require lesser time to generate transformations. Our treatments are executed with substantial attention to detail, expertise and concern. Thus, it is our up to the mark services, along with thoughtful approach towards providing a healthy mouth and attractive smile, which has earned us a positive repute amongst our patients. To book your next appointment, call us on 020 8829 85551 or visit our website https://www.alexandraparkdentist.co.uk/ where you can book your appointment directly.